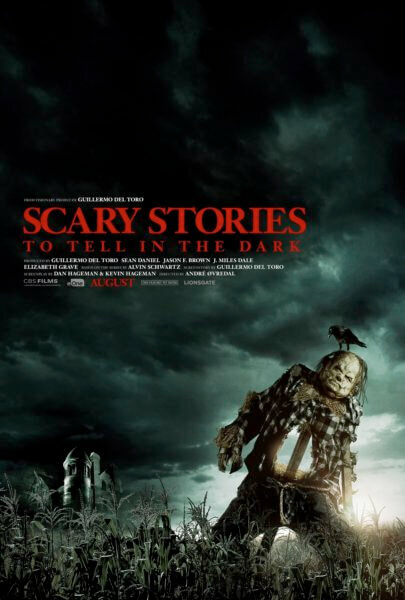 CBS Films and Lionsgate have released four super short clips from the upcoming horror film, Scary Stories to Tell in the Dark. The four TV spots aired during the Super Bowl and introduced audiences to a member of the walking dead searching for his/her big toe. We also caught a glimpse of the Pale Lady, the Jangly Man, and a red bump that’s more than just a simple pimple. The cast includes Michael Garza (Wayward Pines, The Hunger Games: Mockingjay – Part 1), Austin Abrams (Brad’s Status, The Americans), Gabriel Rush (Moonrise Kingdom, The Grand Budapest Hotel), Austin Zajur (Fist Fight, Kidding), and Natalie Ganzhorn (Make it Pop, Wet Bum). Zoe Colletti (Rubicon), Dean Norris (Claws, The Big Bang Theory), Gil Bellows (Patriot), and Lorraine Toussaint (Into the Badlands, The Fosters) are also part of the ensemble of the big screen adaptation of Alvin Schwartz’s work. André Øvredal directed from a screenplay by Daniel Hageman, Kevin Hageman, and Guillermo del Toro. Sean Daniel, Jason F. Brown, J. Miles Dale, Elizabeth Grave, and Guillermo del Toro produced.